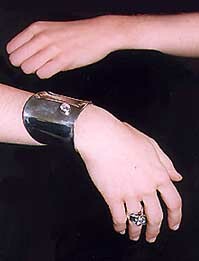 I sold this killer sterling cuff and matching ring on eBay. I wish I could get them back. I began this series years ago as An Ode to eBay: I was so taken with the largest on-line auction that I began a magnum opus about it. Little did I realize that online auction activities can be addictive. Not until I was hooked did the negative aspects of my great new passion become apparent. Now I've rewritten my previous site, adding more tools to help you use eBay and the other auctions for your benefitto get great deals on things you neednot to your downfall. An ode to eBay? What is this? An ode is defined as: A poem that expresses a noble feeling in a dignified style. Humm. Not quite right. We're silly as often as we're dignified at Spurs Magazine. So what is this series? It's not a guide to eBay, though we will direct you to excellent guides. It's not a "how to" book: How to make a million on line. How to list your $#%@&! item on eBay's @#%$%$! listing page! But we do cover those topics. This isn't a critical review. An efficient, positive, successful organization like eBay gets my "thumbs up" any time. Nor is this an expose. That's tacky. Plus-- I don't have anything to expose. When I began this series, I intended to do a quick and dirty, very funny, recap of my experience with the world's biggest on-line auction house. Well, things grow, evolve, and change. This turned into a much larger and more personally challenging adventure than I anticipated. Also a far more valuable one. I had to include the topics here to treat the material responsibly. In addition to buying and selling tips, I talk about the economics of auctions and their impact on the welfare of society. I address on-line addiction. Compulsive spending. Financial recovery. I provide self help resources. Heavy subjects are attacked full on, no holds barred. This is a deep, serious series, and a fun one. This project seems to be at cross purposes with Spurs Magazine. Spurs deals with the spiritual aspects of life: the uplifting, edifying, motivating aspects. Auctions are so... commercial. So money grubbing. Greedy. Here and elsewhere in Spurs, I talk about achieving inner freedom. I say we should renounce the lust-inducing objects that turn us into ravening beasts. How does this jibe with strategies to grab that auction goodie against all odds? How do detachment and contentment interface with creating an irresistible sale page? With hooking people's emotions into your auction so you get the highest price? How does inner freedom go with my recommendation to provide on-line credit to your buyers? Allowing them to fuel their overspending? Interesting contradictions. I wonder how I'll resolve them. One thing I learned in this adventure: money and how you use it are at the heart of spirituality. That's what we'll look for. This series is my odyssey, my journey with eBay, and with myself as I joined the eBay community. Who am I for those who are new to Spurs? 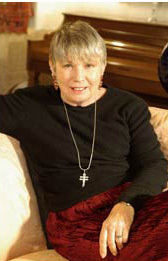 I am a writer, mother, wife, grandmother, horse rancher, and primarily, a human being. My job in these precious years on earth is to find out who I am and live that reality as fully as I can. In doing this, I apply absolutely everything I have learned, in an out of school. I have extensive educational and professional background in counseling, philosophy, economics, and design, as well as 25 years of meditation experience. 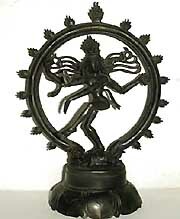 The dancing Shiva represents the dance of the universe, of which we are all a part. Why do I focus on eBay when lots of on-line auctions exist? For several reasons. eBay is the largest auction house by a long shot. In mid-October, 2000, eBay had more than 4 million items for sale, an increase of 1.6 million items since July, 1999. * In 1999, the San Francisco Examiner compared the on-line auction houses. It reported eBay's claim as the largest auction house, with daily sales of over $6.84 million. ** The paper estimated rivals Yahoo and Amazon.com at $175,000 and $170,000 in daily sales, respectively. *** Market size alone is reason to limit the discussion to eBay, something we'll discuss in The Economics of Auctions. There's another reason for concentrating on the auction by the Bay: My feelings. eBay's the auction site I fell into when looking up a painting being auctioned by a admired artist. (See A Writer Collides with the Great On-line Auction, which follows.) I fell into eBay, and stayed there. After months of buying and selling, eBay feels like home. 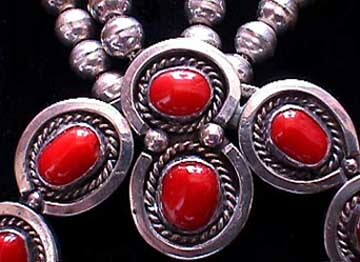 FANTASTIC SILVER ANKLE BELLS FROM INDIA. COME WITH FREE MEHNDI KIT! PAINT YOUR SELF WITH HENNA JUST LIKE FOLKS IN NEW YORK, L.A., AND, OH, YEAH... INDIA. Yes! Yes! If you clicked on vilasa, you went to my sale page, because I do buy and sell on eBay, though not all the time. It's fine with me if you buy my stuff, and the stuff of the other featured sellers. I think commerce is very cool. Okay, let's rock. Or read, as the case may be. This series is dedicated to Bill. He is unfailingly inspiring, even when he doesn't know it! 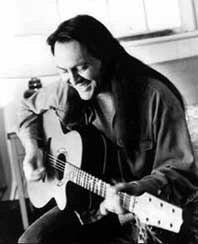 If you've not heard of him, Bill Miller is the Native American musician and artist pictured above. I like his music so much that I have a page devoted to him on this site. (BILL MILLER'S PAGE) In addition to being an internationally acclaimed musician and winner of 5 Native American Music Awards in 1999, the man paints. Last spring, BILL MILLER'S OFFICIAL WEBSITE announced that he was going to AUCTION ONE OF HIS PAINTINGS ON eBay!!! WOW!!! They even had the painting displayed on the site. It was lovely! Lovely! By purest chance, I have the perfect spot for it in my living room! I slid into Bill's auction when it was half over, finding it easily by getting on eBay.com and typing "Bill Miller" into the search box. There it was!!! Gasp. I couldn't afford the starting bid. I vowed to keep watching. Maybe they'd lower it. Maybe Bill would call me up and just give it to me. You never know. I sat facing Bill's painting on my computer screen, contemplating. Thinking deep thoughts, like, "Does eBay know they have a typo in their name?" It was a simple step to, "I wonder what other stuff eBay has for sale?" I typed something into the search box and clicked. I was in big trouble. My pesky lower chakras were really STIRRED UP!!! Chakras are real centers of energy in your body. If they dissected you, they wouldn't find them, but they're real. I know. I could feel mine pulsating. My lower chakras, pertaining to lust and greed, were flaming. Exploding! I closed my eyes and turquoise and silver roadrunners ran across my interior darkness. This represents extreme temptation to me. Days passed. My writing output, normally an impressive 12 to 27 pages a day, dropped to 4 or 5, then quit. This bothered me, as I'm in the final pages of writing the sequel to my first book. It also bothered my agent. And my family. I couldn't help it: The Force had me. Pre-eBay, I woke up each morning, ran to my computer and checked our website stats. We do not have a counter on our site because we wish to discourage the obsession with numbers and achievement that permeates our society. However, our webhost has a handy feature where we can go in and get the names and phone numbers of everyone who hits on us. Dress sizes. Kid's birthdays. No, not quite, but almost... No. Just teasing. Really. Relax. But our stats page shows far more than a counter. On a pre-eBay morn, I'd bound downstairs, run to my computer and see how our site did the day before. Then I'd answer emergency e-mails from my kids, such as "Mom, I'm stranded in New York City... I don't have any money... What should I do?" Pre-eBay, I was concerned with events that materially impacted my own life and well being, in other words. Not any more, "Oh, my God! Did that auction close? Did I get that 16" moose-shaped, maybe-silver bolo tie? I hope so/not!" My head hurt from hours of looking at the computer monitor. My shoulders were stiff. I got less exercise. Was crabby. Sleep deprived. But I was learning fast. I realized a couple of days in that eBay has a handy click-on feature that gives you that day's new auctions first. So, you find your favorite (most addictive) area, spend a few dozen hours the first day looking at absolutely everything. You place your bids. From then on, all you have to do is review the new stuff every day and up your bids as needed. You can satisfy your addiction with a minimal time commitment. I also signed up with a service that lets me use my credit card on-line! 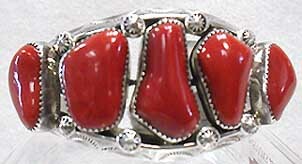 This terrific Zuni inlaid pin was sold on eBay by howlingdogtrader, "the Neiman's of eBay". I was in bad shape. Possessed, some might say. I knew the demon that drives old ladies to spend their last days in smoky casinos, playing bingo. It had me! What could I do? I did the only thing a meditator could do. I came down early one morning, shaking slightly. Instead of hitting the computer, I took my prescribed meditation posture in my customary meditation chair. I went inside as deeply as I could. (Which wasn't too deep. An auction was closing.) I prayed to my spiritual ancestors, real ancestors, teachers, anything in/out there: "PLEASE! HELP ME!" I was actually praying that I would get both the amber & silver necklace and the old pawn silver bracelet. And the three piece watch band, belt buckle and ring set for my husband's birthday. I had a genuine spiritual experience: My old meditation teacher, who's been dead for 18 years, appeared before me shouting, "FREEDOM FOLLOWS RENUNCIATION!!!!" Which means, "If something is getting in the way of your spiritual development, GIVE IT UP." I was also given specific instructions: No eBay until 5 the next night. My God! Over 24 hours of abstinence! The rest wasn't too rough: At 5 PM the next day, I could check my bids, and check out the new stuff. (3 new single spaced pages every day. In turquoise jewelry alone!!!) I could bid for some new stuff! Get that squash blossom necklace I've barely lived without for 55 years. But not until 5 the next day. Also, I was not supposed to think about eBay, or talk about it. Write? My teacher didn't say anything about writing in his intra-psychic appearance. Besides, this is a public service. More instructions: If I made it through the initial abstinence period, I could continue to check in with eBay once a day and bid in a controlled fashion. Otherwise, I'd have to give it up FOREVER. Whoa. Something else my teacher said kept coming back: TURN YOUR DIFFICULTIES INTO NECTAR." Not just turn life's lemons into lemonade": go all the way to nectar. Nectar: The sweet elixir of life. Ambrosia. Sustenance. Turn your difficulties into something that nourishes, sustains and delights you. Something delicious and irresistible. Nectar. That's when I got the idea for these articles.